We seem to have apple brain around here. Our kids go back to school this week and while I will miss them, I am also super excited! Remember how I went back to college last fall? Well, this fall I will be working in my new career as an Education Assistant!! I have been hired to work with students who have special needs in our School District. With my own twins, diagnosed with ADHD last year and our foster daughter who has Autism, it is something that I am beyond passionate about! I can’t wait to build relationships with these kiddos and impact their lives in a positive way. Ahem… back to the crafting… lol. 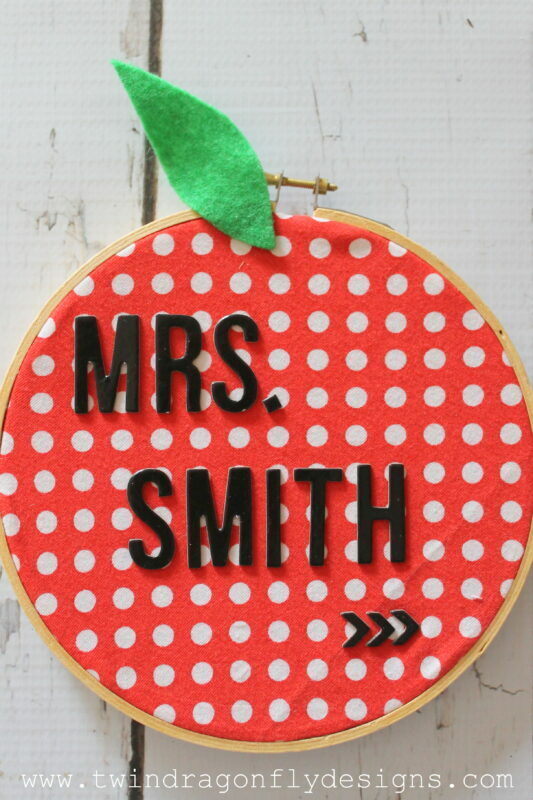 How cute is this Name Badge Apple Teacher Gift?! 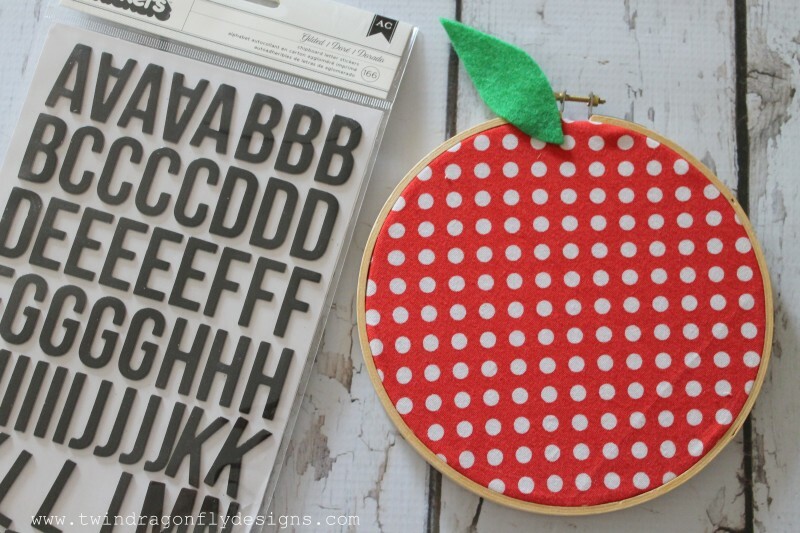 The embroidery hoop apple was created in the same way as this Embroidery Hoop Apple Teacher Gift. 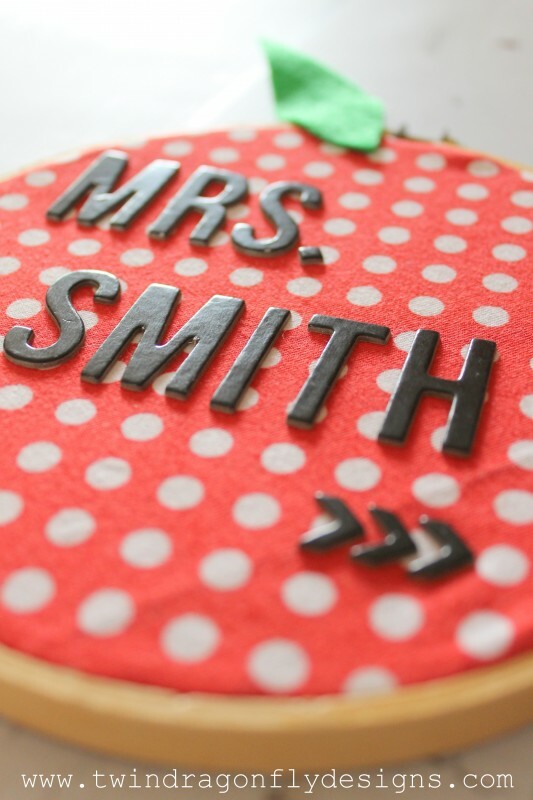 Then we just kicked it up a notch by adding three dimensional letter stickers from American Craft. Bam! 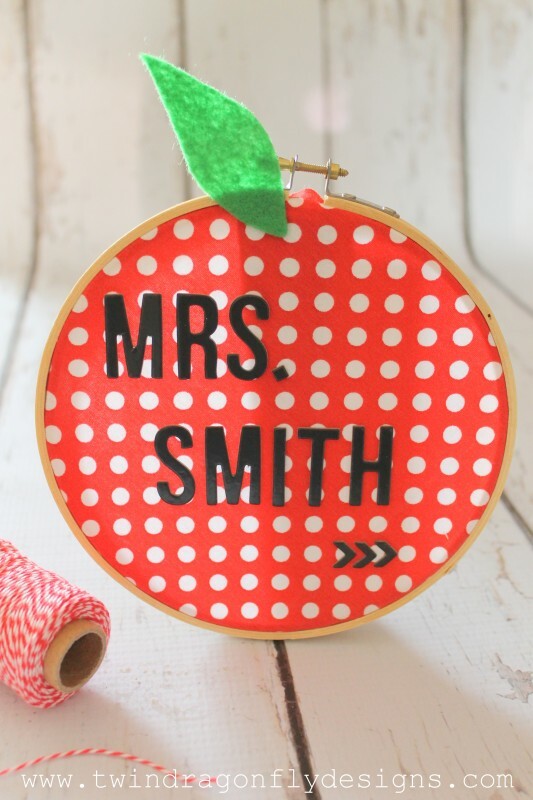 It’s as easy as pealing and sticking the letters to the fabric of the embroidery hoop. 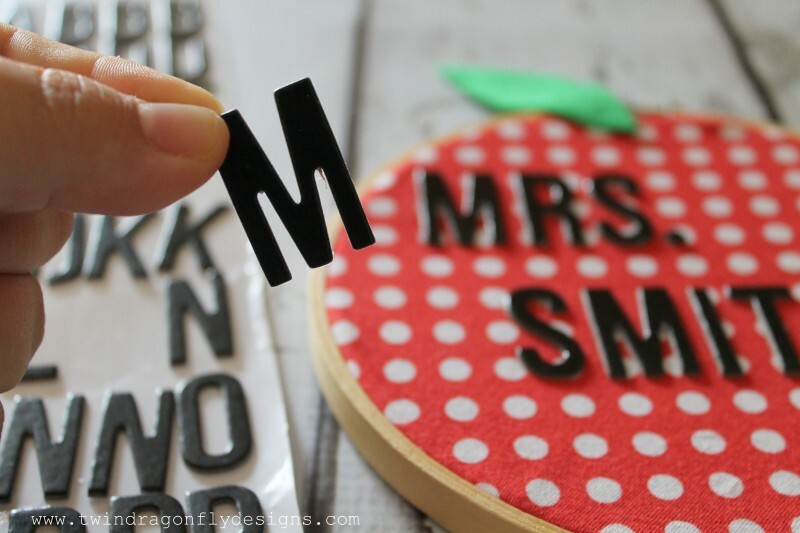 You could add additional glue to the letters if you are worried about them coming off.